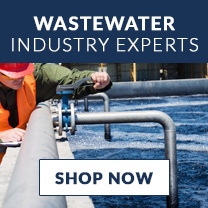 We are committed to the viability and optimization of your Wastewater Process. We support customers like you every day and understand what it takes to maintain a viable Wastewater Process—as well as your ongoing concern to avoid costly downtime. We are committed to the optimal operation at the various stages in the process with our testing instruments, meters, and innovative pumps. 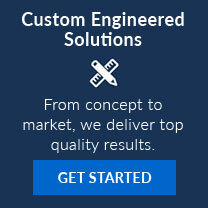 With over 60 years of technical expertise, we can help you select the right products to keep your R&D, daily operations, and overall process flowing. Removal of large items from the influent to prevent damage to the facility’s pumps, valves and other equipment. 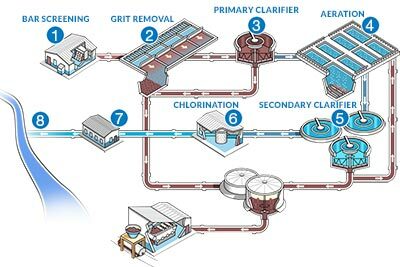 The process of treating and reclaiming water from wastewater (any water that has been used in homes, such as flushing toilets, washing dishes, or bathing, and some water from industrial use and storm sewers) starts with the expectation that after it is treated it will be clean enough to reenter the environment. 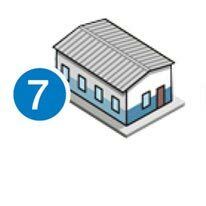 The quality of the water is dictated by the Environmental Protection Agency (EPA) and the Clean Water Act, and wastewater facilities operate to specified permits by National Pollutant Discharge Elimination System (NPDES). According to the EPA, The Clean Water Act (CWA) establishes the basic structure for regulating discharges of pollutants into the waters of the United States and regulating quality standards for surface waters. Under the CWA, EPA sets wastewater standards for industry. The EPA has also developed national water quality criteria recommendations for pollutants in surface waters. EPA's National Pollutant Discharge Elimination System (NPDES) permit program controls discharges. As an example of expected standards, the Biochemical Oxygen Demand (BOD) of average wastewater effluent is 200 mg/L and the effluent after treatment is expected to be >30 mg/L. It is crucial a wastewater facility meets these expectations or risk stiff penalty. The physical process of wastewater treatment begins with screening out large items that have found their way into the sewer system, and if not removed, can damage pumps and impede water flow. A bar screen is usually used to remove large items from the influent and ultimately taken to a landfill. Removal of grit by flowing the influent over/through a grit chamber. Fine grit that finds its way into the influent needs to be removed to prevent the damage of pumps and equipment downstream (or impact water flow). Too small to be screened out, this grit needs to be removed from the grit chamber. There are several types of grit chambers (horizontal, aerated or vortex) which control the flow of water, allowing the heavier grit to fall to the bottom of the chamber; the water and organic material continue to flow to the next stage in the process. The grit is physically removed from the bottom of the chamber and discarded. 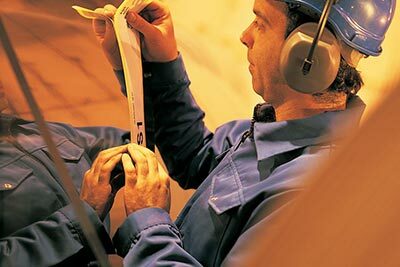 Flowmeters: What Type Will Work Best for Your Application? Initial separation of solid organic matter from wastewater. Solids known as organics/sludge sink to the bottom of the tank and are pumped to a sludge digestor or sludge processing area, dried and hauled away. Proper settling rates are a key indicator for how well the clarifier is operating. 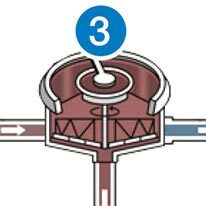 Adjusting flow rate into the clarifier can help the operator adjust the settling rates and efficiency. After grit removal, the influent enters large primary clarifiers that separate out between 25% and 50% of the solids in the influent. These large clarifiers (75 feet in diameter, 7½ inches at the edges and 10½ feet in the center as an example) allow for the heavy solids to sink to the bottom and the cleaner influent to flow. The effectiveness of the primary clarification is a matter of appropriate water flow. 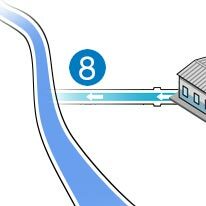 If the water flow is too fast, the solids don’t have time to sink to the bottom resulting in negative impact on water quality downstream. If the water flow is too slow, it impacts the process up stream. 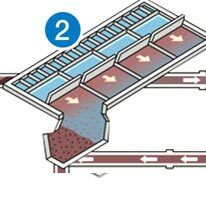 The solids that fall to the bottom of the clarifier are know as sludge and pumped out regularly to ensure it doesn’t impact the process of separation. The sludge is then discarded after any water is removed and commonly used as fertilizer. Air is pumped into the aeration tank/basin to encourage conversion of NH3 to NO3 and provide oxygen for bacteria to continue to propagate and grow. 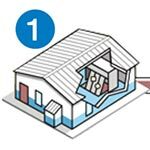 Once converted to NO3, the bacteria remove/strip oxygen molecules from the nitrate molecules and the nitrogen (N) is given off as N2↑ (nitrogen gas). At the heart of the wastewater treatment process is the encouragement and acceleration of the natural process of bacteria, breaking down organic material. This begins in the aeration tank. The primary function of the aeration tank is to pump oxygen into the tank to encourage the breakdown of any organic material (and the growth of the bacteria), as well as ensure there is enough time for the organic material to be broken down. Aeration can be accomplished with pumping and defusing air into the tank or through aggressive agitation that adds air to the water. 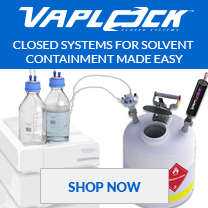 This process is managed to offer the best conditions for bacterial growth. Oxygen gas [O2] levels below 2 ppm will kill off the bacteria, reducing efficiency of the plant. Dissolved oxygen monitoring at this stage of the plant is critical. Ammonia and nitrate measurements are common to measure how efficient the bacteria are in converting NH3 to N2↑. A key parameter to measure in wastewater treatment is Biochemical Oxygen Demand (BOD). BOD is a surrogate indicator for the amount of organic material present and is used to determine the effectiveness of organic material breakdown. There are a number of other tests used to ensure optimal organic material breakdown (and BOD reduction) such as measuring pH, temperature, Dissolved Oxygen (DO), Total Suspended Solids (TSS), Hydraulic Retention Time (flow rate), Solids Retention Time (amount of time the bacteria is in the aeration chamber) and Mixed Liquor Suspended Solids. 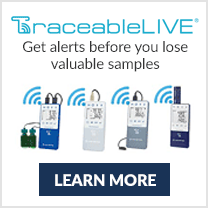 Ongoing and accurate monitoring is crucial to ensure the final required effluent BOD. Treated wastewater is pumped into a secondary clarifier to allow any remaining organic sediment to settle out of treated water flow. 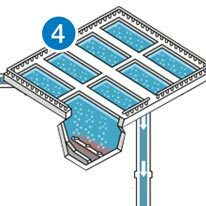 As the influent exits the aeration process, it flows into a secondary clarifier where, like the primary clarifier, any very small solids (or fines) sink to the bottom of the tank. These small solids are called activated sludge and consist mostly of active bacteria. Part of this activated sludge is returned to the aeration tank to increase the bacterial concentration, help in propagation, and accelerate the breakdown of organic material. The excess is discarded. The water that flows from the secondary clarifier has substantially reduced organic material and should be approaching expected effluent specifications. What’s Most Important When Measuring Turbidity? Chlorine is added to kill any remaining bacteria in the contact chamber. With the enhanced concentration of bacteria as part of the aeration stage, there is a need to test the outgoing effluent for bacteria presence or absence and to disinfect the water. This ensures that higher than specified concentrations of bacteria are not released into the environment. Chlorination is the most common and inexpensive type of disinfection but ozone and UV disinfection are also increasing in popularity. If chorine is used, it is important to test for free-chlorine levels to ensure they are acceptable levels before being released into the environment. 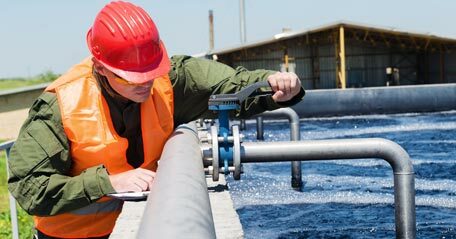 Testing for proper pH level, ammonia, nitrates, phosphates, dissolved oxygen, and residual chlorine levels to conform to the plant’s NPDES permit are critical to the plant’s performance. Although testing is continuous throughout the wastewater treatment process to ensure optimal water flow, clarification and aeration, final testing is done to make sure the effluent leaving the plant meets permit specifications. Plants that don`t meet permit discharge levels are subject to fines and possible incarceration of the operator in charge. Final effluent flows into rivers or streams or into irrigation reservoirs for reuse. After meeting all permit specifications, clean water is reintroduced into the environment. The facility’s overall predictive and preventive maintenance is performed to ensure influent flow is not impacted, that the biomass is healthy and optimal, and that the effluent meets the standard NPDES permit to ensure compliance. 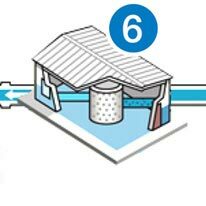 Wastewater treatment is a continuous (and controlled) process. Any impact to the water flow will result negatively up and down stream in the process. Worst-case scenarios can have sewer backups in basements or sewage being pumped into the environment. 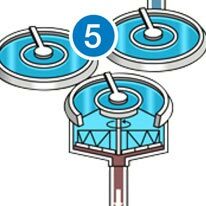 Wastewater facilities, by their very nature, are built with redundancy to ensure the pumps keep pumping and the flow of the water is controlled. Maintenance is also crucial to this end. Of the three types of maintenance—breakdown maintenance (run to failure), preventive maintenance (time based) and predictive maintenance (condition based), only preventive and predictive maintenance are appropriate. This maintenance will ensure influent flow is not impacted, that the biomass is healthy, and that the effluent meets the standard NPDES permit to ensure compliance. 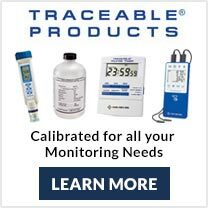 Cole-Parmer’s wide range of products and InnoCal calibration services can support your ongoing predictive and preventive maintenance needs. 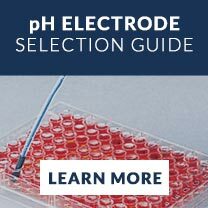 This article includes a procedure for measuring the pH of wastewater samples including an overview of equipment, sampling technique, and step-by-step techniques in the laboratory.